MacDermid Printing Solutions’ broad line of liquid photopolymer products offers an unbeatable combination of exceptional value and quality to the flexographic printer. Liquid Platemaking is well suited for the following water-based ink printing applications: corrugated post-print, wide web/thin plate and hand stamp/marking devices. Using liquid platemaking in your operation has a significant number of environmental advantages as well. To learn more about how the liquid platemaking process works, click here. Liquid photopolymer printing plates have been the standard in the corrugated printing market since 1975. 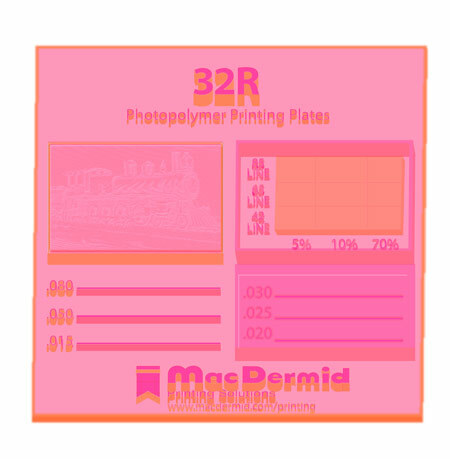 Products are available in hardnesses of 20, 25, and 32 Shore A and may be combined with MacDermid’s capped plate technology for even better print performance. For more information on liquid photopolymer plates that will work well within this market segment, please see the Liquid Selection Guide. 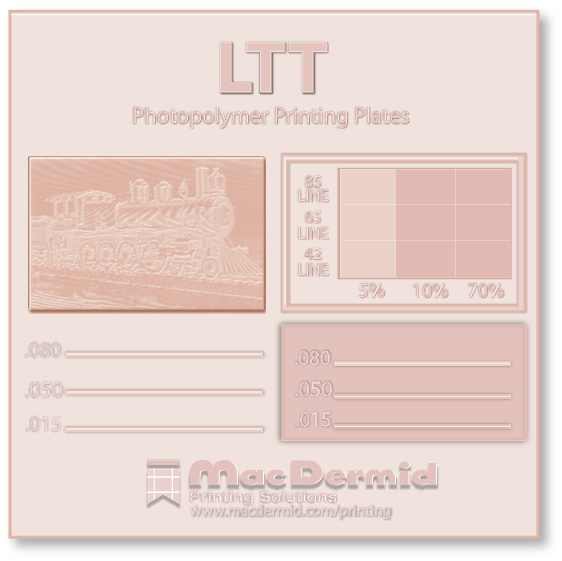 The gold standard in liquid platemaking, MacDermid LTL is a 32 durometer resin designed specifically to provide 0.112-0.280″ thick photopolymer printing plates for the corrugated market. 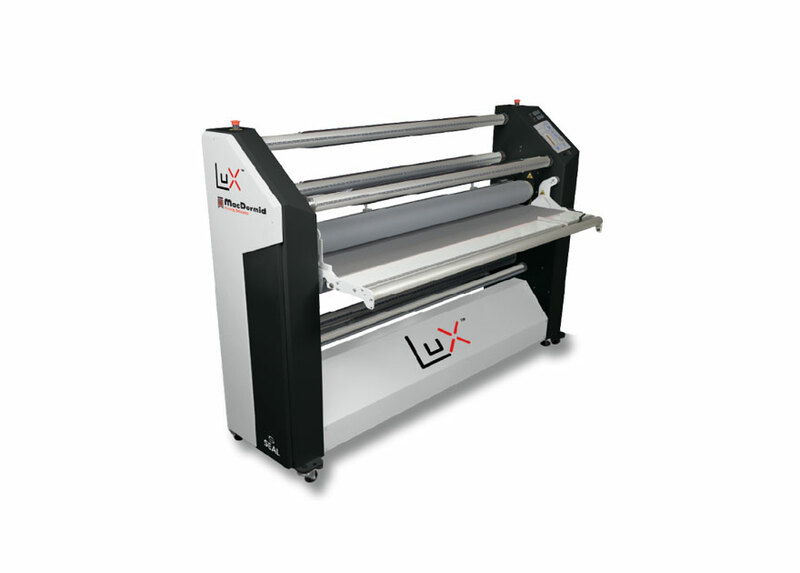 LTL contains patented plate technology featuring a combination of outstanding heat, humidity and UV resistance, excellent printability, and clean running on press. MacDermid LTT liquid photopolymer is a 32 durometer (Shore A) resin designed specifically to provide thin photopolymer printing plates for the corrugated market. Our LTT resin offers tack-free properties, excellent solids coverage and high resilience for lint-free printing. MacDermid LTT resins are dyed red to improve the contrast so that mounting is easier and provides for easy cleanup on press, saving you time and money. Including products for the pre-print linerboard, multiwall bag, folding carton and paper cup printing markets, MacDermid provides base and cap resins for every level of printing quality needed. Product selection is based on the plate thickness required and the printing application. For more information on liquid photopolymer plates that will work well within this market segment, please see the Liquid Selection Guide. 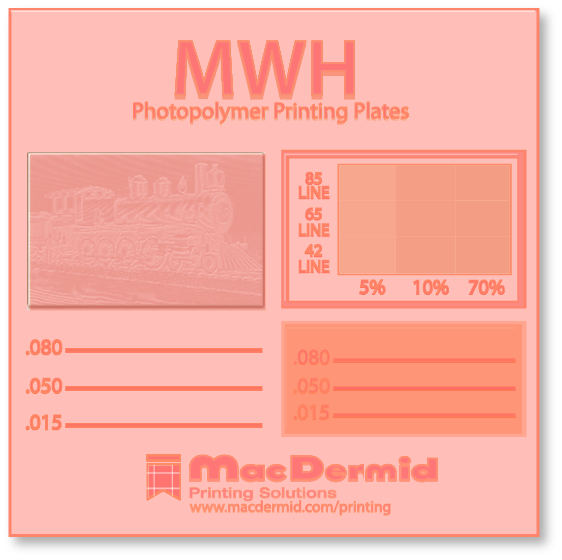 Our MWH photopolymer is a 50 Durometer (Shore A) resin used to manufacture 0.045-0.112” liquid photopolymer printing plates for the wide-web, thin plate, and water based ink market. MWH has high resilience for improved ink transfer on press. MWH plates should be stored away from UV light. 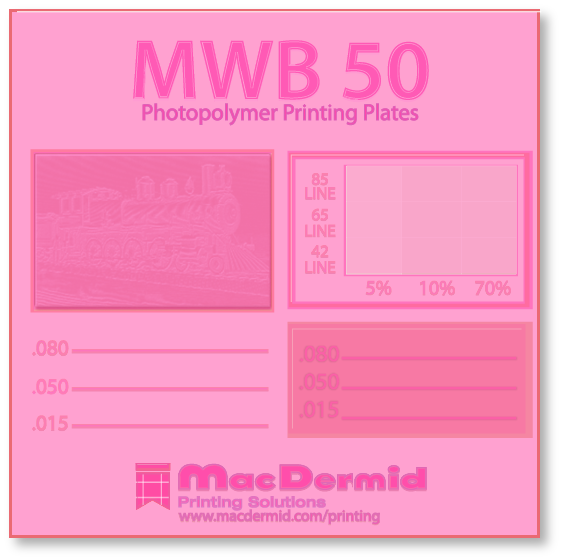 MacDermid’s MWB 50 photopolymer is a 50 Durometer (Shore A) resin used to manufacture 0.045-0.125″ liquid photopolymer printing plates for the wide-web, thin plate, water based ink market. MWB 50 has a high resilience for improved ink transfer on press. 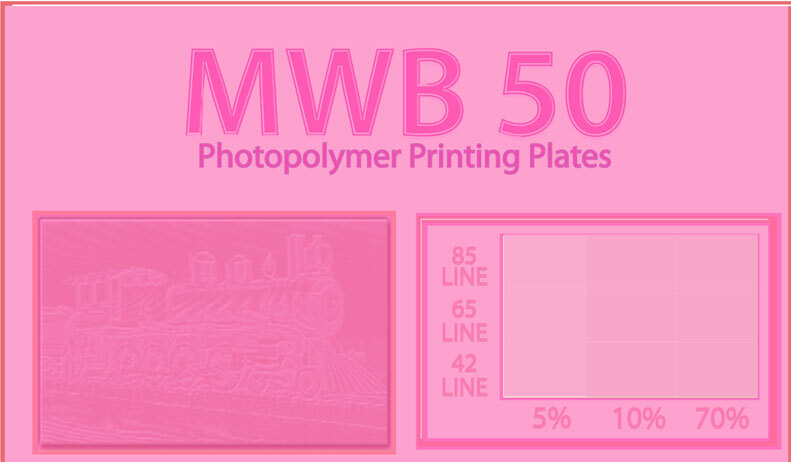 With its higher durometer, MWB 60 has unrivaled on-press durability and tremendous tone reproduction capabilities when compared to other liquid photopolymers used in similar applications. Our MWB 60photopolymer is a 60 Durometer (Shore A) resin used to manufacture 0.045-0.125″ liquid photopolymer printing plates for the wide-web, thin plate, water based ink market. MacDermid’s M Stamp 40 photopolymer plates combine low tack, excellent swell resistance, and high toughness to provide superior press performance in a variety of print applications. 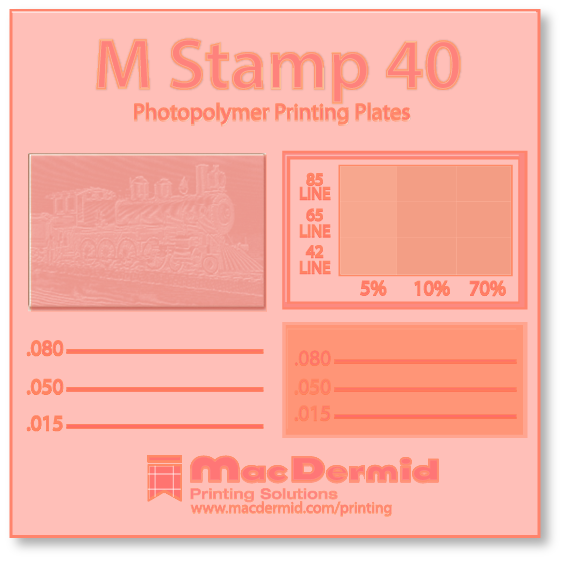 Our M Stamp 40photopolymer is a 40 Durometer (Shore A) resin used to manufacture 0.067-0.125″ liquid photopolymer printing plates for applications such as wide web/thin plate, sandcasting, coating, or even hand stamps. 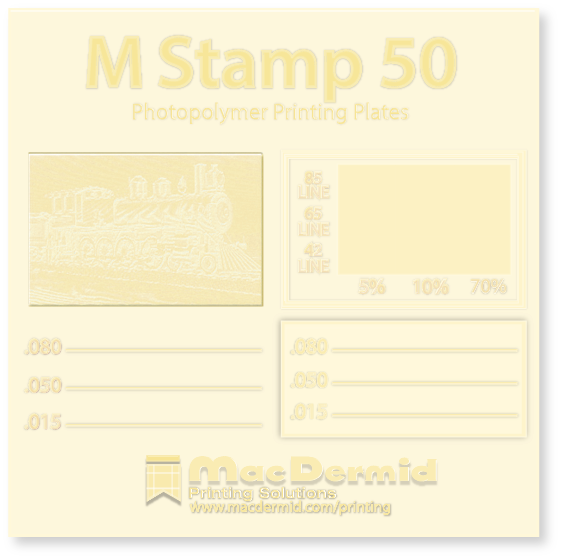 Our M Stamp 50 photopolymer is a 50 Durometer (Shore A) resin used to manufacture 0.067-0.125″ liquid photopolymer printing plates for applications such as wide web/this plate, sandcasting, coating, or even hand stamps. Combining low tack, high toughness, and excellent swell resistance, M Stamp 50 provides superior press performance in a variety of print applications. There are several MacDermid photopolymers available for the hand stamp, molding, and marking device markets. For more information on liquid photopolymer plates that will work well within this market segment, please see the Liquid Selection Guide. 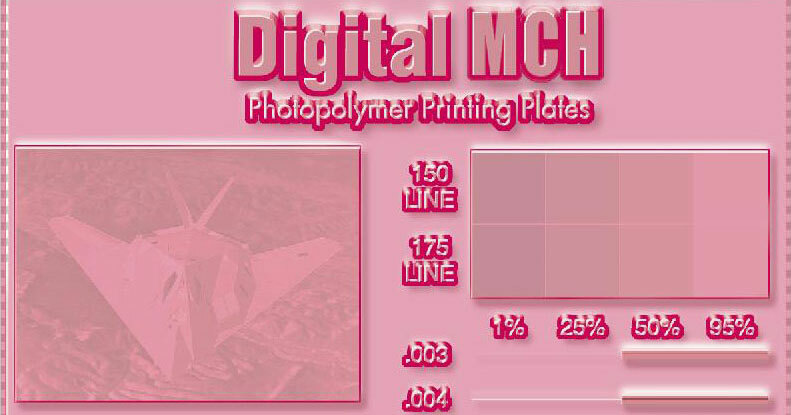 M Clear photopolymer combines superior UV stability and yellowing resistance with unparalleled felxibility and toughness. 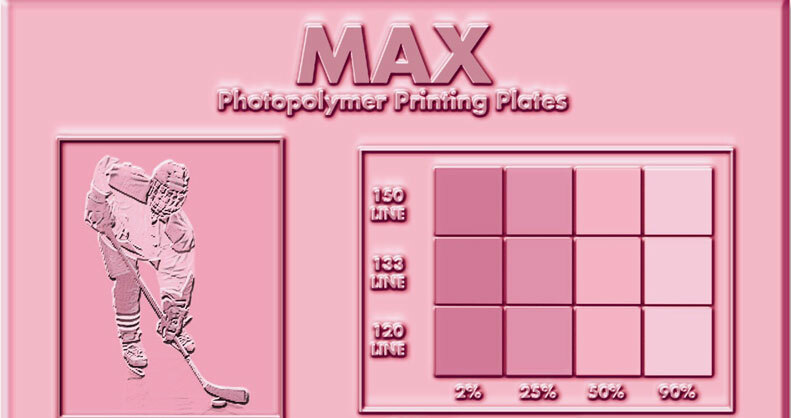 It is a 40 Durometer (Shore A) resin used to manufacture 0.067-0.140″ liquid photopolymer printing plates for the craft, hobby, and scrapbook market. MacDermid’s M Cap 45 and FC 55 HR-R cap resins are used in combination with most MacDermid liquid photopolymer base resins to increase the overall tone range and print capability of a printing plate. Capping technology involves the casting of a very thin layer of harder cap resin over a softer base resin. The imaging characteristics of the cap resin create a print surface in the final plate with near vertical side walls that minimizes dot gain. Under impression, the harder cap resin recedes into the softer base rather than distorting, leaving a clean, sharp image. For more information on the benefits of MacDermid capping resins, click here. There are several ancillary products that are used in the production of liquid photopolymer plates such as substrate, coverfilms, and detergents. For more information about the products that will work best for your application, please see theLiquid Selection Guide. For more information on liquid technical tips, click here. 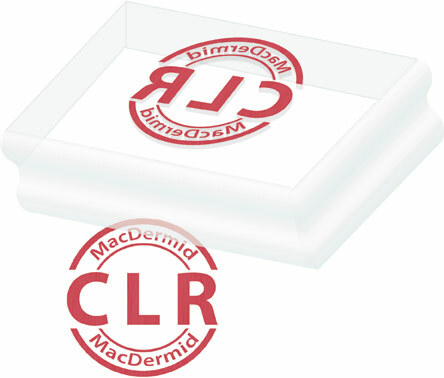 Small/Mid: For small- and mid-size platemaking operations, MacDermid recommends a LiquifleX Liquid Photopolymer Platemaker. The MacDermid LiquifleX Platemaker represents the latest advancements in liquid photopolymer platemaking technology. It combines the benefits of liquid, such as low plate cost and flexibility of operation, with the simplicity of sheet platemaking. 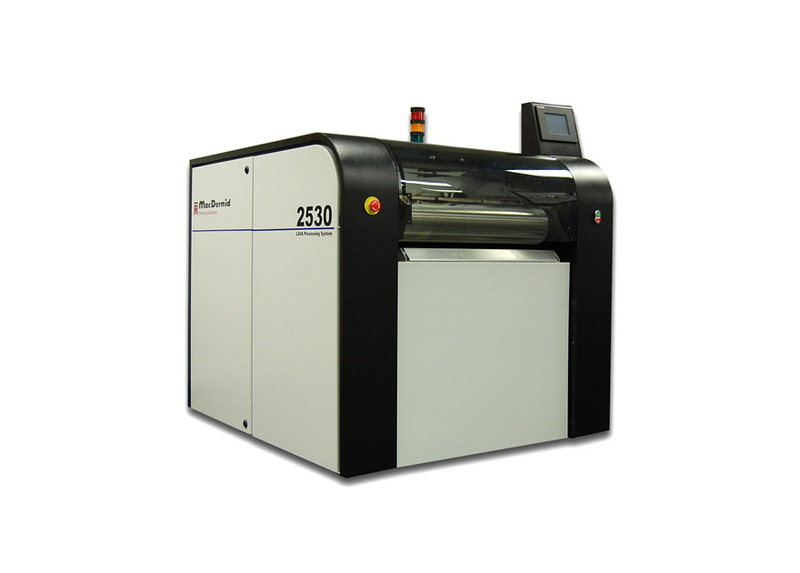 Large: For larger operations, MacDermid offers the Merigraph 5280, which offers a full 52×80 image area and allows for in-position platemaking. M Jet: As an alternative to silver analog film, look to MacDermid M Jet to create a replacement for silver film suitable for use with liquid photopolymer and analog sheet photopolymer manufacturing. 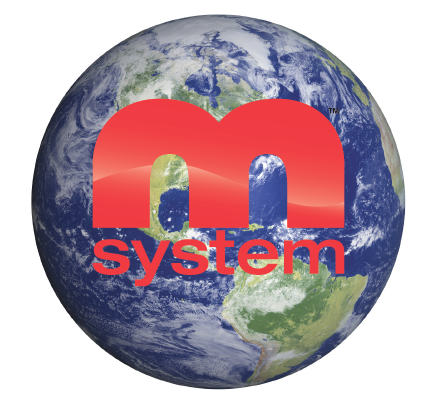 The M Jet product uses a proprietary aqueous black inkjet process to create films in sizes up to 60″ wide and at resolutions up to 85 lpi. *This information was derived from a Life Cycle Assessment tool created for MacDermid, called the Environmental Footprint Calculator (EFC). For more information about the EFC and how it was created, please read the EFC White Paper. 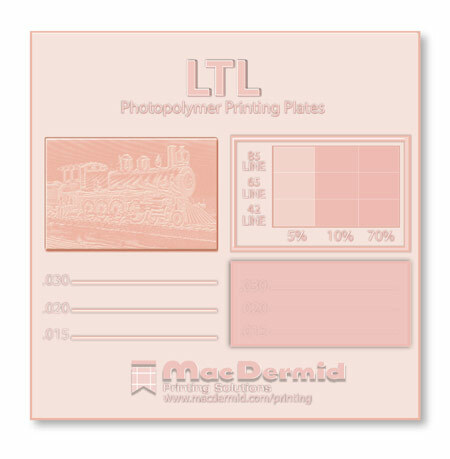 One extension of liquid photopolymer platemaking is the creation of Liquid In-Position Plates. In addition to the benefits described above, In-Position Plates use 50% less photopolymer and weigh 70-80% less, which can make a big impact in terms of safety and shipping costs. For more information on how liquid In-Position Plates are made, read this article: Liquid In-Position Plates: Never An Imposition. For more information about the sustainability of MacDermid’s products, visit the MacDermid Sustainability Page.